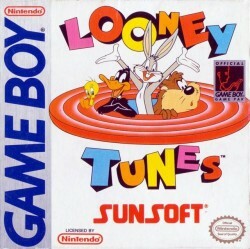 Can you handle 7 levels of looney? What's more fun than watching cartoons? Actually starring in one! Looney Tunes from Sunsoft lets you join the wacky, weird and wild world only your favorite Looney Tunes characters have seen 'til now. 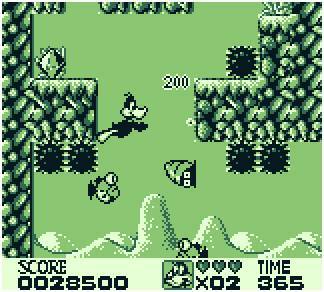 Each level features a different character starring in its own "mini-cartoon", with plots, obstacles, traps and surprises designed especially for each one. You'll actually become Bugs Bunny, Daffy Duck, The Tasmanian Devil, Road Runner and more as you race to save the world against some very familiar enemies, and a view new diabolical menaces you may never forget! You'll have to master each character's special talents to cross deserts, swim the deepest oceans, fly through the air and creep your way through a haunted mansion filled with totally gruesome ghosts and goblins. Six amazing levels, six amazing games... plus an awesome bonus round. There's only one way to describe this awesome action: Totally looney! Gutes Jump'n'Run, kann mich noch erinnern, das es im ersten Level eine Superwaffe gab , wenn man durch eine durchlässige Wand geht. Empfehlenswert! 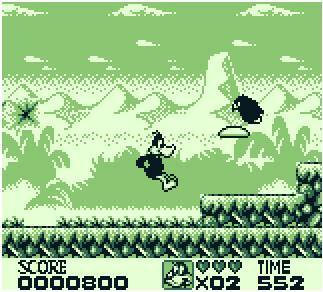 Eines meiner Lieblingsgames auf dem Game Boy! Ich hätte nicht gedacht, dass mir dieses Spiel noch so viel Spaß macht! Die Levels sind sehr abwechslungsreich und das Spiel ist eigentlich nicht sooo arg schwer. 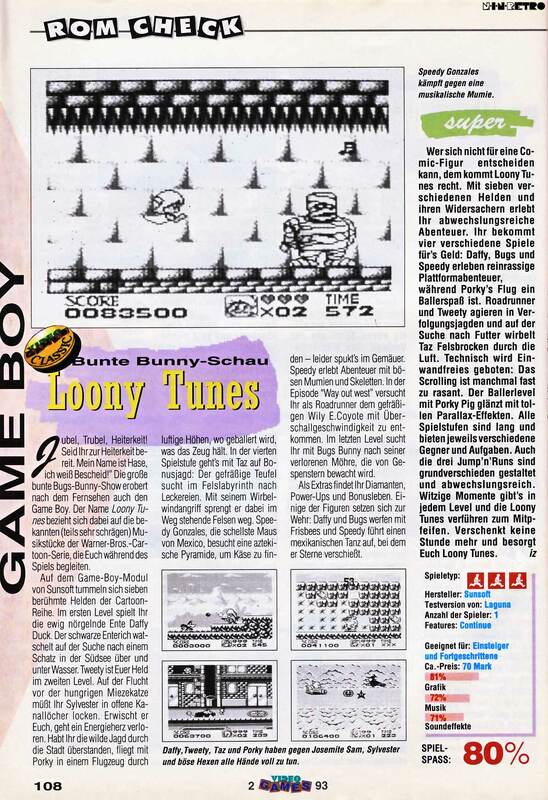 Gut gefallen haben mir das Porky Pig Ballerlevel und der etwas frustige Road Runner Trial & Error-Level, denn wenn ich den geschafft habe, konnte ich es auch noch durchspielen. Kann das VG-Review voll und ganz unterschreiben. 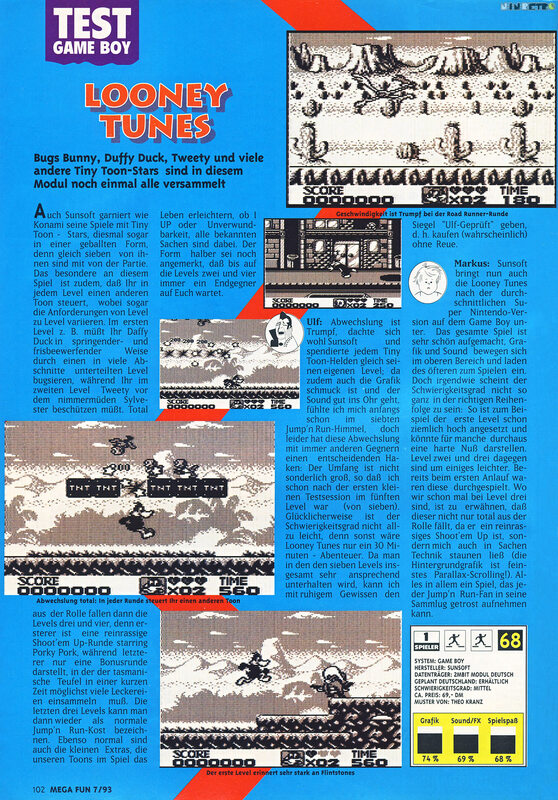 ...gefällt mir heute besser als damals, ist aber nicht so gut wie "Bab's Big Break" und ähnliche Jump'n'Runs der damaligen Zeit. Seite geladen in 0.0345 Sek.